That’s a pretty accurate representation of my night this past Friday. I spent almost the entirety of this past weekend studying for the midterm in my Torts class, my first big hurdle in law school. But that picture is definitely not an accurate representation of my typical Friday night. In fact, the myth that law students don’t have lives — that they spend every waking moment buried in books — isn’t true at all. Taking time to do the non-law school things you enjoy is actually pretty essential to making sure you don’t have a meltdown while you’re here. I got that advice from more than one professor during orientation, and I took it to heart. Then, when I got my midterm schedule a few weeks ago, I found out my Torts midterm was scheduled for October 9th — the day after the show I was working on. What could I do? The show had already been in the words for months. Like anything in law school, you make it work. All things considered, I still spent around 25 hours studying for my Torts exam between Friday and Sunday. (Some students, I know, studied even more.) But at 5 on Sunday, I set aside my Torts notes and headed to the venue. The show itself was stressful; some of the equipment from Japan didn’t work with the venue’s setup, which sent me on a last-minute trip to Best Buy for a 50-foot cable. But the show itself went beautifully; the artists radiated pure wonder and benevolence. 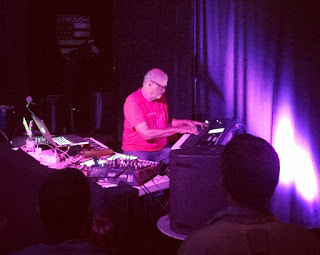 After the show, Roedelius himself, who is 82 years old, walked around the venue barefoot (!) and introduced himself to fans. I think it was just what I needed to balance myself a little. The next morning I slept in a little, went for a jog, and then studied for a couple hours before heading to school. I won’t lie — the test was stressful. 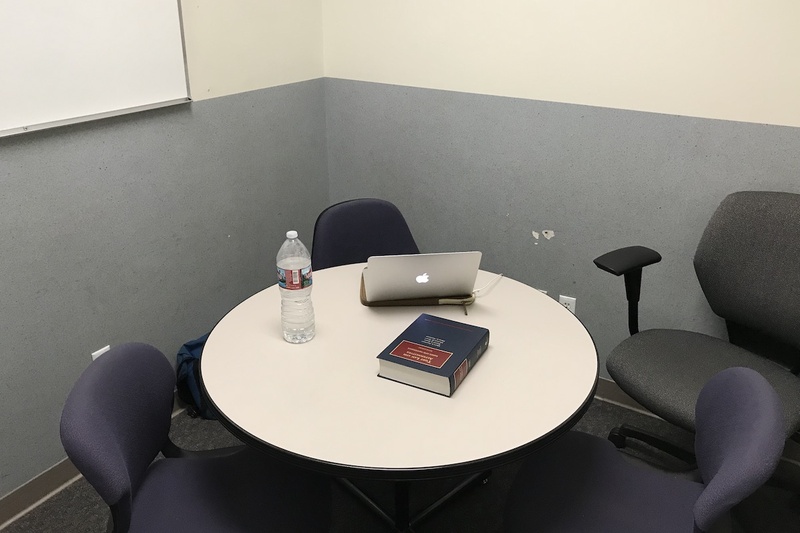 Law school isn’t easier than people tell you, and it might actually be harder. Things you thought you knew how to do, like read and write, can suddenly seem foreign. But the myth that law school students don’t have lives isn’t true. It’s just that the lives we do have are kind of crazy. The key, for me anyway, is to take all opportunities you can to do adventurous things — without forgetting to give yourself some rest along the way.